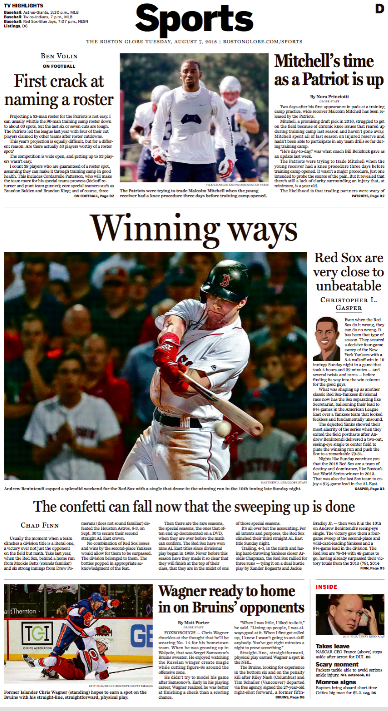 Page One of today’s Boston Globe Sports section is the very definition of a jinx on the Red Sox. 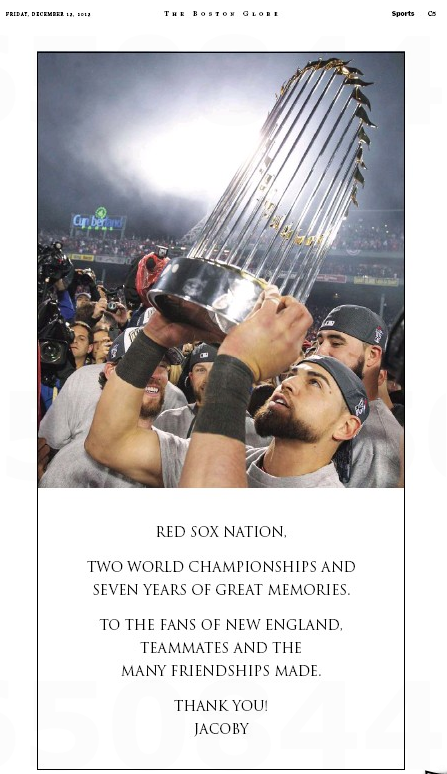 Christopher Gasper’s column labeling the Red Sox “close to unbeatable” and the New York Yankees “feckless and fundamentally unsound” tiptoes right up to the hexing post. But Chad Finn’s confetti tossing puts a full-tilt whammy on the Olde Towne Team. It’s all over but the accounting. For all intents and purposes, the Red Sox clinched their third straight AL East title Sunday night. Crosstown at the Boston Herald, the estimable Steve Buckley provides a more sober-minded perspective. Such was the Red Sox’ annihilation of the Yankees this past weekend that the remainder of the regular season has been reduced to little more than a stretching exercise for October. The Sox have wrapped up the American League East, leaving the humbled, hurtin’ Yankees and their fans to collect themselves and start planning for that scary one-and-done wild card game against the Oakland A’s or Seattle Mariners. Not so fast, Buckley says. Now there’s a man with respect for the evil eye. Hey, the hardworking staff knows we’re a mere Made Yankee Fan in Boston. But we might also be the canary in the coal mine.